Our Staff is here to answer any question about our gap program in Israel. 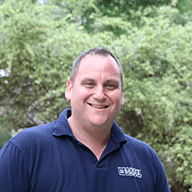 Tomer has many years of experience with Masa programs and Israel experiences. He was born in Givatayim and raised in Shoham. After his service in the IDF as a paratrooper, Tomer joined the Jewish Agency’s summer Shlichim program and worked for 6 summers in Jewish summer camps in Colorado and Texas. 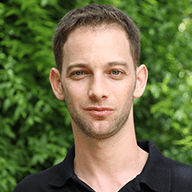 Tomer has a BA in Political Science and International Relations at the Hebrew University. After graduating, Tomer returned to the US and served as the Israel Fellow at the Hillel of The University of Texas in Austin for 2 years. 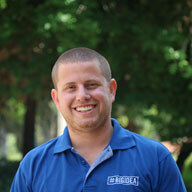 Before Joining BIG IDEA Gap Year, Tomer was the program director of Masa Israel Teaching Fellows program. Gali was born in Jerusalem and lived most of her life in Hod Ha’Sharon (center of Israel). During high school, she spent a year living in Boston, MA, and was very active as a Madricha in the Israeli Scouts (Tzofim) – Shevet Ofek! Her army service was all about leading new Olim in the border police. 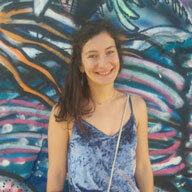 After two years as a Youth Coordinator in a small community in the Negev, she worked as a coordinator for ALUT (the Israeli Society for Autistic Children) in Be’er Sheva, and was also leading a group of Israeli gap year volunteers. During the past 7 summers, she had different roles in 6 different Jewish summer camps, In Israel and abroad. Gali just has a BA degree in informal education, at-risk youth, and geography. she can’t wait to meet everyone and show them some of what the Negev and Be’er Sheva have to offer! Nepheli grew up in Greece and then moved to Belgium at age 17 to pursue a Bachelor degree in Law. Growing up in Greece, she was always very involved in the Jewish community there as a counselor during the yearly summer camps. 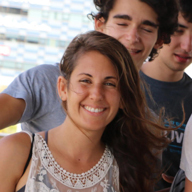 During her MASA Israel program, she lived in Tel Aviv, interned at IsraAID and had a meaningful experience in Israel. She made Aliyah and had her Master’s degree in Community Development Studies at the Hebrew University of Jerusalem. She also worked as a Project Officer in the, developing leadership skills with young adults at the Peruvian Amazon. Omri was born in Tel-Aviv. He served in the IDF in the Bedouin regiment as a combat medic. After the army, he worked in agriculture at the Golan Heights and volunteered with special needs kids as a camp counselor in 92Y in NYC. Today, Omri studies social work in “Ben-Gurion University of the Negev. Dotan is a tech education enthusiast who started coding himself when he was 9 years old. While in high-school, he led computer camps and courses for kids and he has never let go of this passion since then. In the IDF, Dotan served in a special technology unit and after his service, he worked for an Israeli start-up company. In 2007 Dotan founded the international technology summer camp in Israel, which was the root for all the programs BIG IDEA offers today. Nir has many years of experience in international summer camps in Israel and has a variety of roles in America, and in eCamp since 2010. Nir also served as the Jewish Agency Shaliach at the Jewish Federation of Kansas City. He has a BA in management in behavioral science from Ben Gurion University. 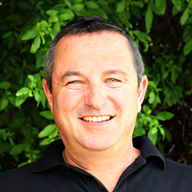 Erez holds an Executive MBA in Business Management from TAU. Erez is a board member in many non-profit youth development organizations such as “Variety”, and Nahar-Hayrden-Youth-Village”. He is also a business mentor in IVN . In 1986, Erez founded “Lafayette”, which imported many new kids and teen brands to the Israeli market, an later established the first commercial website for kids in Israel – “Cool toys”. In 2003, he was amongst the founders of the first Summer Camp in Israel for Jewish teens from around the world. Eran is a former commander in Mamram, the IDF’s IT & Cyber Academy. In 1994, Eran established the successful Israeli private IT college- John Bryce Training, that within 5 years from its establishment, had dominated the Israeli market. Later on, he founded John Bryce in Hungary, Turkey and in China. 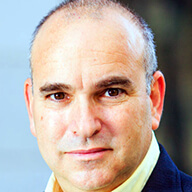 Eran was a prestige member of the worldwide Microsoft’s Partner Advisory Council for training and learning. Today, he is the Executive Chairman of Extreme Group, and an Early Investor and Senior Advisor for Israeli Hi-tech investments in Synergy China Funds. 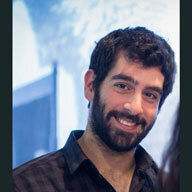 Eran is one of the famous “faces” of Israel’s well known “Startup Nation”. Eran holds a BSC in Computer and Mathematics from Bar Ilan University, and is a Graduate of the IDF IT training programming track, with 7 years of Military Service. BIG IDEA Educational Projects Ltd. has been creating meaningful experiences in Israel for young adults and teens since 2008. We strive to be the leading organization in Israel and in the Jewish communities around the world in informal education in the fields of innovation, creativity, technology, and science. Every year, thousands of participants get together to create, invent and design at various BIG IDEA programs. BIG IDEA @The JCC: Hi-Tech Day Camp in partnerships with local JCCs – Kaplen JCC on The Palisades, JCC Chicago, Bender JCC of Greater Washington DC and more.